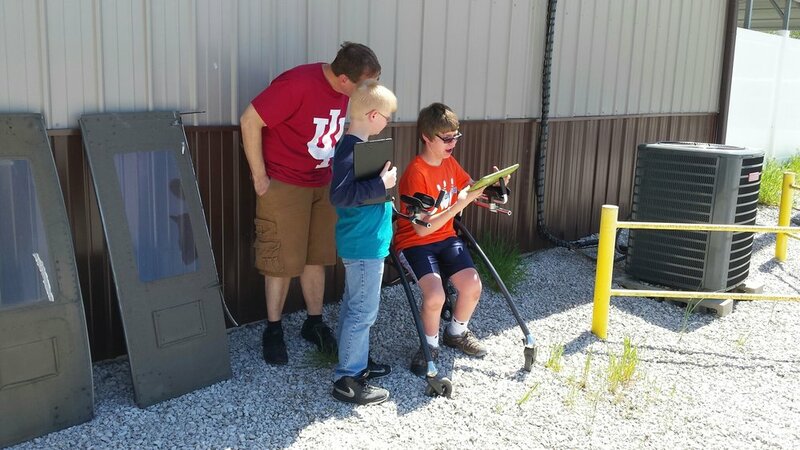 IASAR would like to share an email, provided by a gentleman who attended the Ohio Warrior Weekend, this past July. We love the feedback, for its a reminder that we are more than an organization or a club. We are about forming wonderful experiences and relationships, as we partake in these events. "... 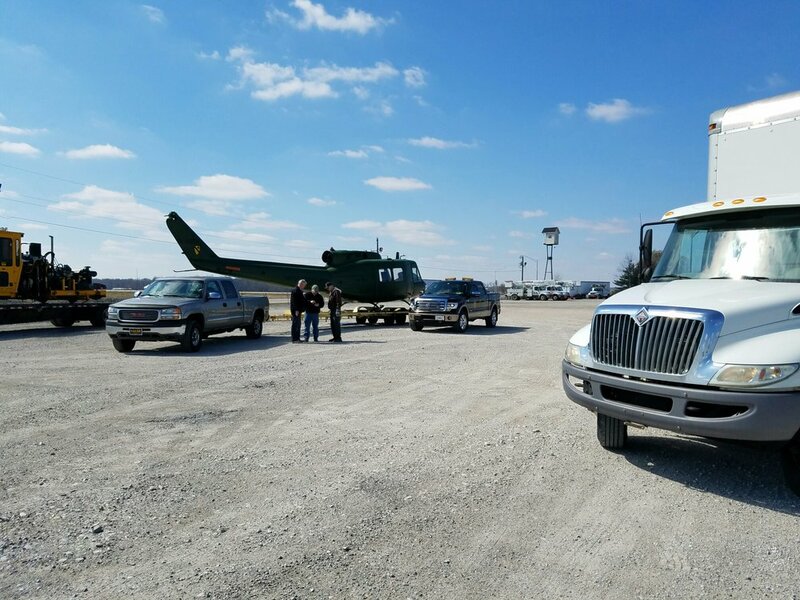 I wanted to thank the whole crew by name,but unfortunately could not remember all by name and did not want to leave anyone out of the sincere thanks that I felt (and STILL feel). The names that I do remember is Rich.....what and awesome guy with such a gentile personality. We had a really good repore with him before and during the flight! And Travis (I THINK that is his name) that was so very kind to take 2 pictures of me sitting on the "chopper" before it fired up and sending it off to my e-mail. That will certainly be pictures that I print off and frame to forever remember that day(as if I need pics to do that!! What an incredible day and memory). AND Travis struggled in sending it as I am sure that he's like me and not well versed in sending attatchments.....BUT he WAS NOT going to give up on doing so! Sincere thanks go out to him. And the 'Nam pilot that took time to talk with me was incredible as well as ALL that was on your crew!!! You are certainly very blessed to have such a dedicated crew with SUPER people skills!!! 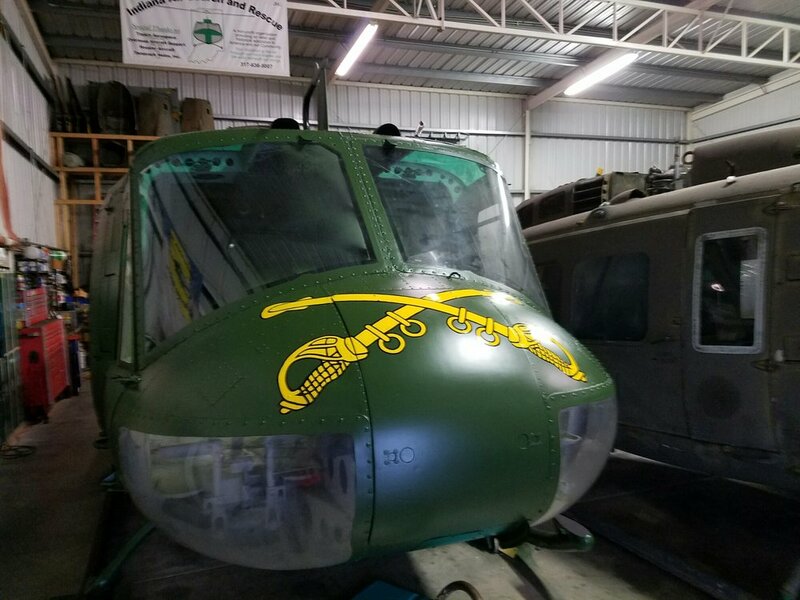 You guys are are such an inspiration and healing force to veterans such as me and others that saw lots of combat that were transported to and from battle sites by the Huey. They NEVER hesitated to come to our call for "dust-offs" or to resupply us in critical moments......over and over. They WERE and ARE the true heroes of the Vietnam War.....and us "grunts" loved these men more than they could ever imagine. They were selfless,courageous,and I am certain, very nervous at times.......but they came!!!! I thank God for them. 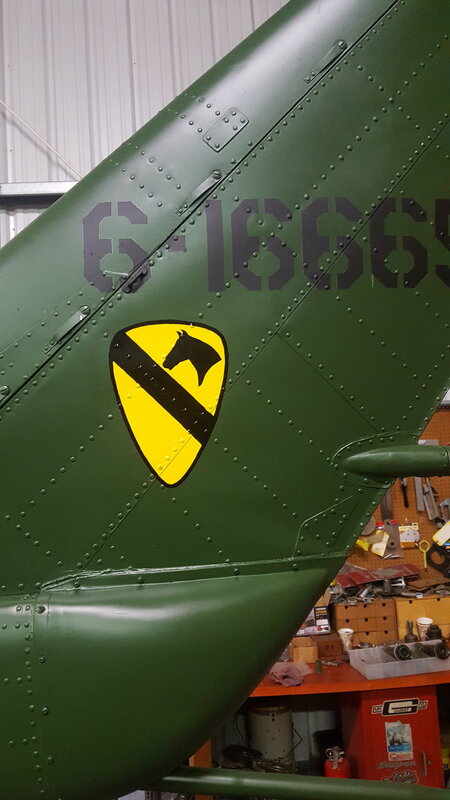 We were transported/serviced by the 116th Assault Helicopter Company......the Hornets. 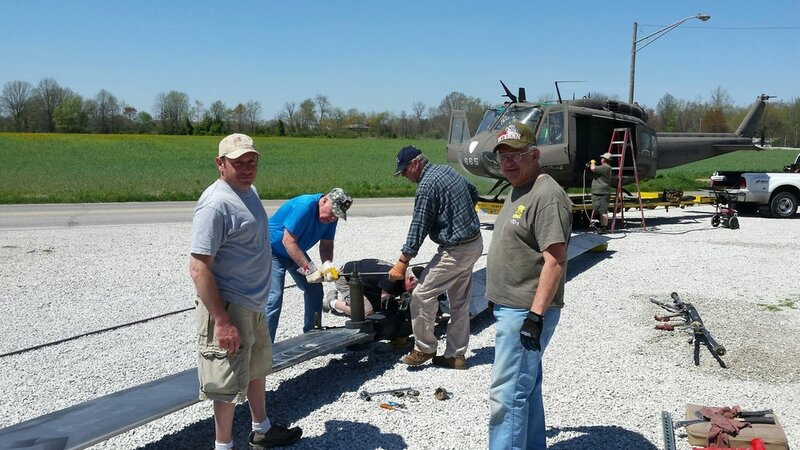 We recently had our 5th reunion (1st one in 2013 after 43 years of NO CONTACT) and one of the chopper pilots who flew us around attends them with us. So good to talk to him. Of the 42 that attended this year.....there are 4 of us with 3 Purple Hearts!!!!!! Lots of combat......lots of flying.......so you can see why you and your crew had such a MAJOR impact on me. Thank you, thank you, thank you!!!!! The ONLY disappointment in that day was the fact that I had to strap in and could not sit on the floor with my feet hanging out as I did in '69-'70!!!!!! Of course I'm joking.......kind of!!!!! No, really I understand the restrictions. OH.....and if I could have had another ride.....or 2 or 3 or 4. 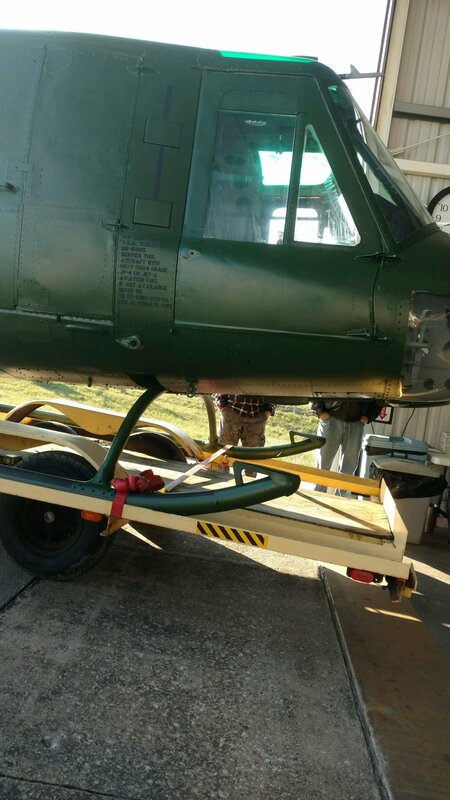 Again Charlie, I will always have you and your crew in my prayers that you might be richly blessed and that ALL your needs are meet be it spiritually,physically, or in the needs of your awesome commitment to your Huey needs. AND your loving,giving,inspiring gift that you present to Christian each and every day. God bless you Charlie....I love what you have undertaken in this life......so giving in so many ways. Randy Cornett....aka John R. Cornett"
This photograph is more than a photograph. You are looking at three individuals who are truly a blessing to us and everyone around them. To the far left is a young man by the name of Christian, who was born with cerebral palsy. He never complains and is always wearing a warm, giant smile. He is always wanting to hug others and spread the joy he has in his larger than life heart. The tall man pictured in the middle is Bill. He is fighting to live, due to Cancer. Bill is not only a volunteer with our organization, but a veteran, husband, father and Grandfather. The last gentlenman in the photograph is Todd. He is a young veteran and excited to announce he is one of our up and coming pilots. He is an Aviator who escaped death from a Helicopter crash, that could have easily taken his life. These are three men who have had and are currently having obsticles to face, but they chose not let those things define them. Rather their strenghth and determination to live a full and abundant life are what help guide and define them as humanbeings. I am proud to call them the "Three Heros of IASAR". 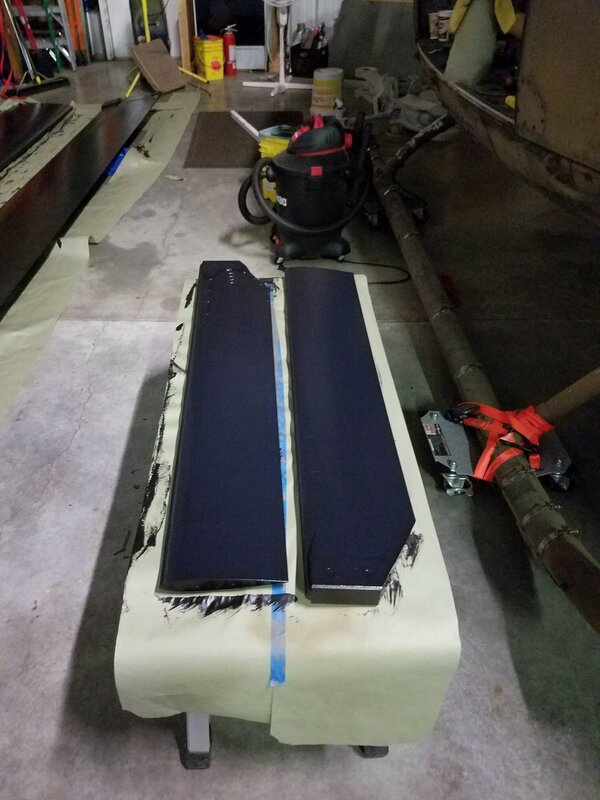 IASAR is truly honored and blessed to have been asked to be part of a restoration project, called "Operation Hammie". 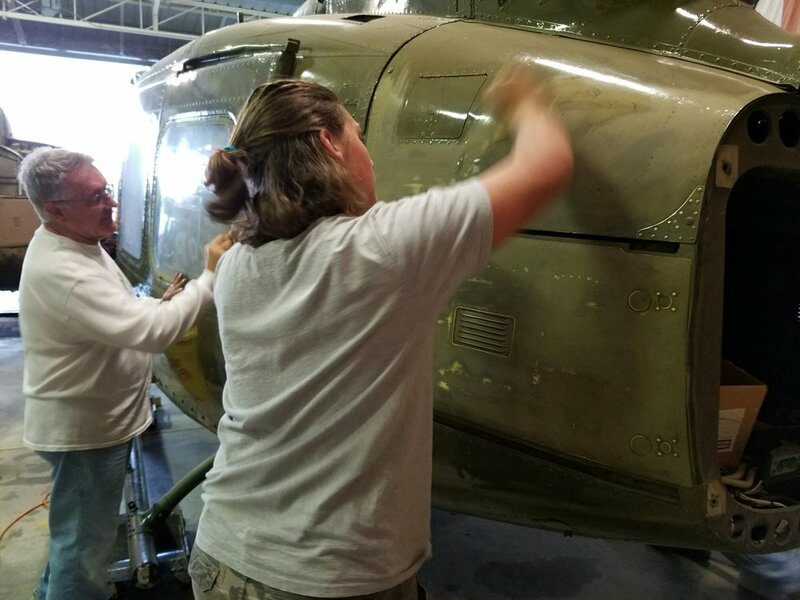 VFW POST 2459, located in Sullivan, Indiana, needed assistance in restoring Hammie, a Huey helicopter, to his shining glory. Below are images documenting the beginning journey from Sullivan, Indiana, back home to the Eagles Nest to commence "Operation Hammie". Removing Hammie from his perch. Removing Hammie off of his perch. Part of the crew making sure we are staying on schedule. 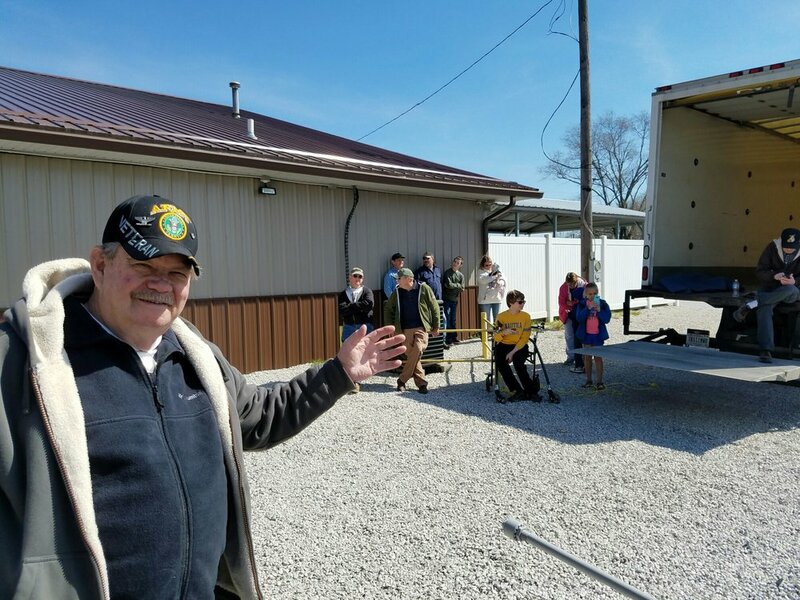 The crew being treated to an outstanding brunch, provided by Jim Hamilton, his son, and fellow members of the Sullivan VFW. The entire IASAR crew relaxing in the shade of Hammie. Hammie all loaded up on the trailer and headed back to the Eagles Nest! 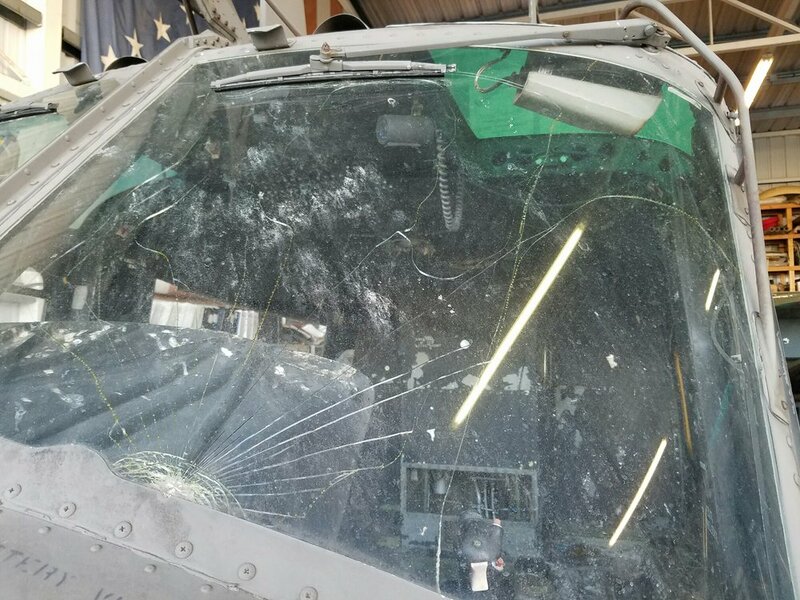 The images below, showcase the condition of Hammie, once brought back to the Eagles Nest for restoration. Let's just say he was in pretty bad shape. 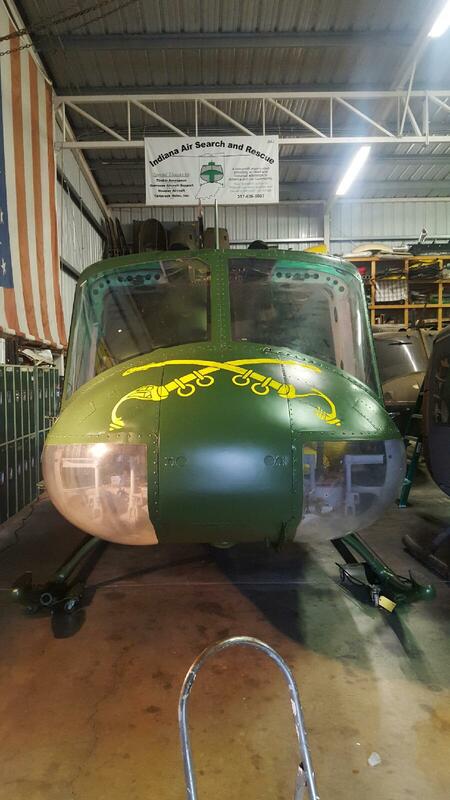 With a lot of helping hands and hard work from IASAR members, we were able to bring this beauty back to life! 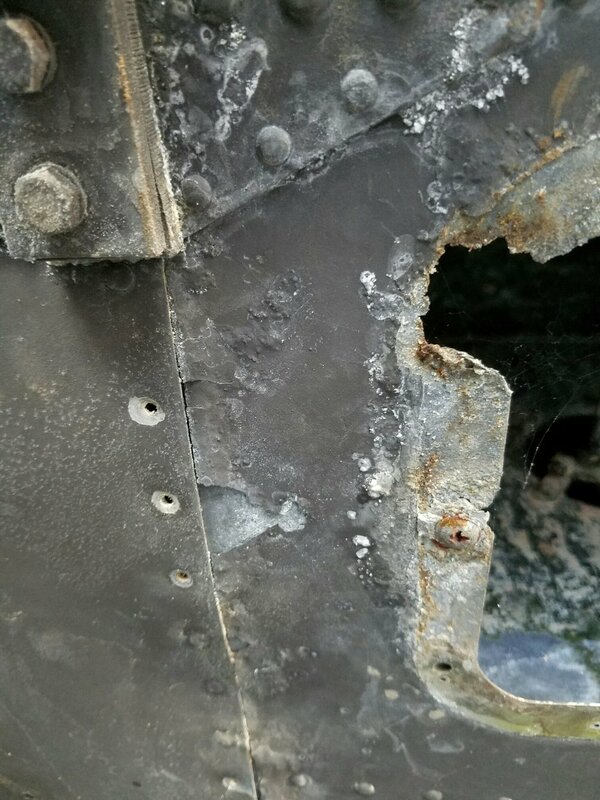 Scroll through the images below to view the documentation of Hammies' journey, from the beginning processes of repairing damages, painting and detailing, to the final restored work of art. Charlie Walker posing for the camera. 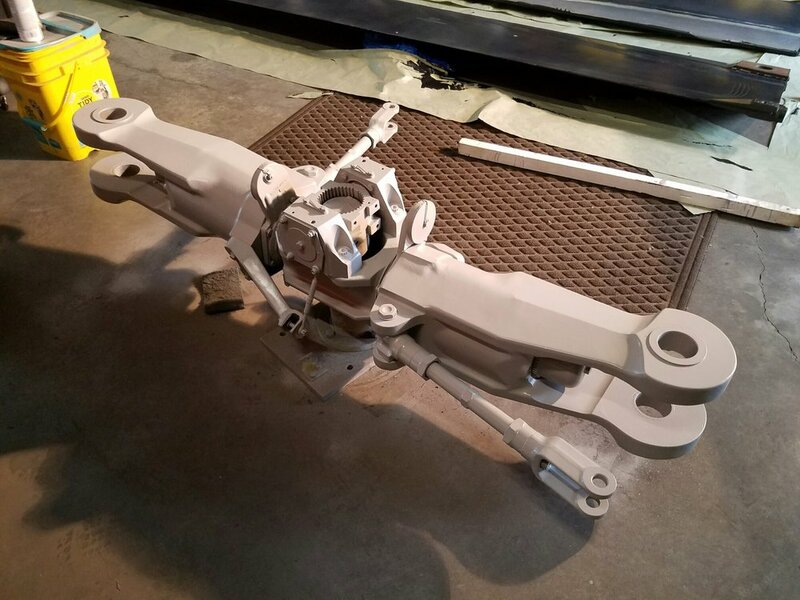 All ready for a paint job. The crew posing proudly next to Hammie. 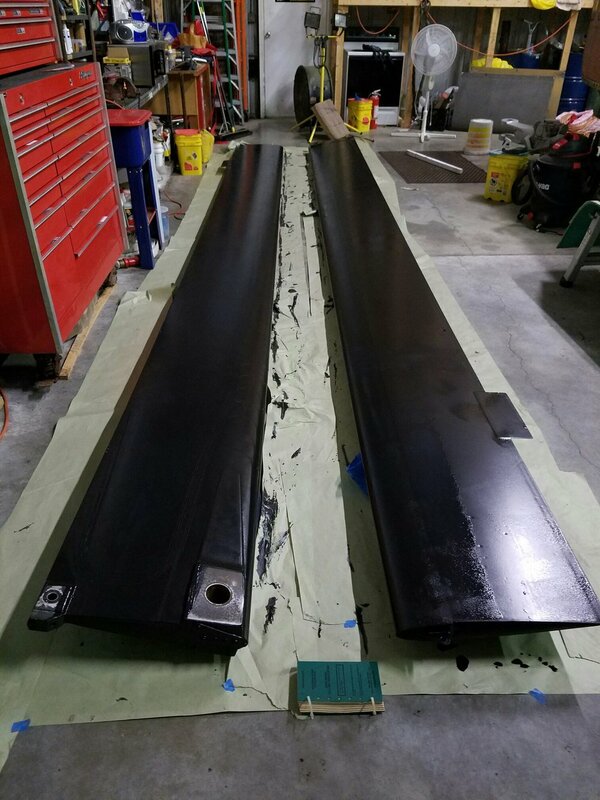 Painting is completed, now time for the artistic details. 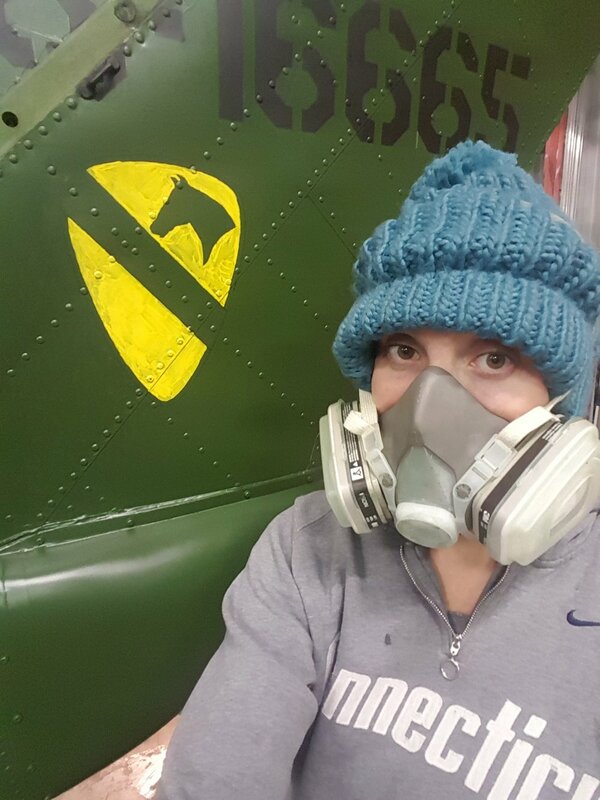 Cassie Kerns is hand painting the sabers. Hammie is finally complete!! Now it's time to return home to Sullivan, Indiana, where he can proudly be placed and seen on his perch. The images below capture Hammie's journey home, which was a perfect time to reflect on the whole project and expedition. Christian is getting ready for our journey back to Sullivan, Indiana. Loading Hammie on the trailer. We have arrived! 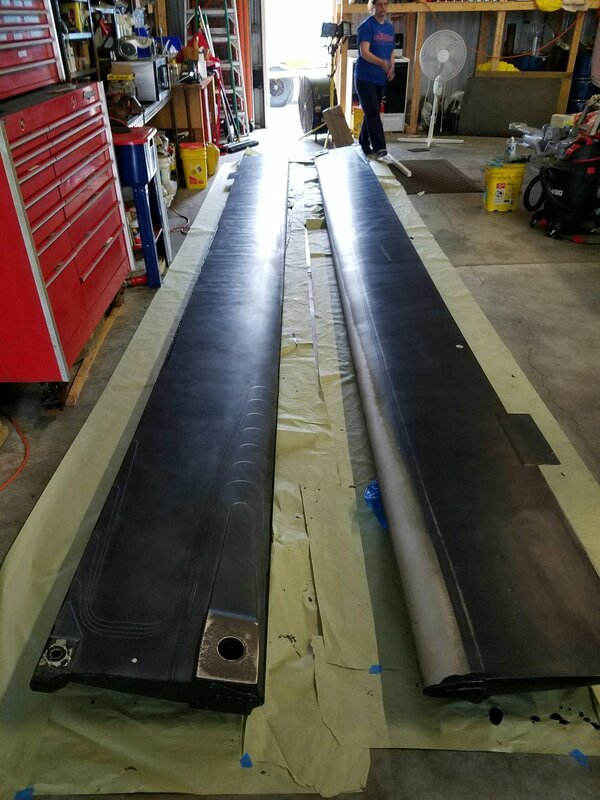 Time to reassemble. Everything is in place. Now to place Hammie on his perch. Hammie is finally home and back on his perch in Sullivan, Indiana. 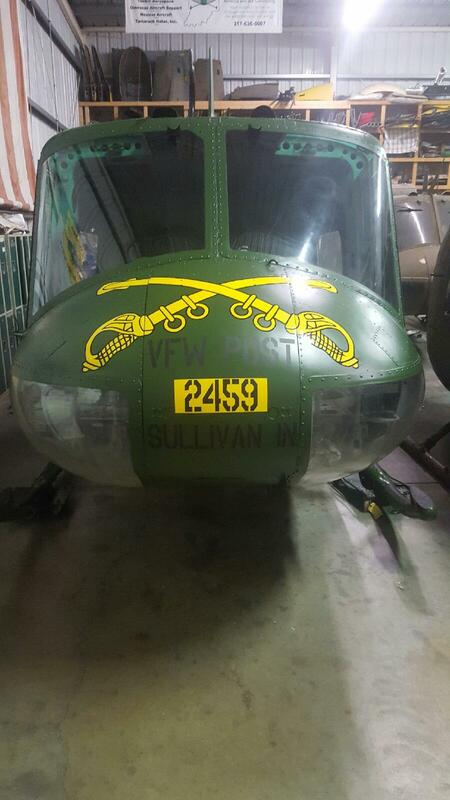 Sullivan VFW Post 2459 Huey back home and fully restored. 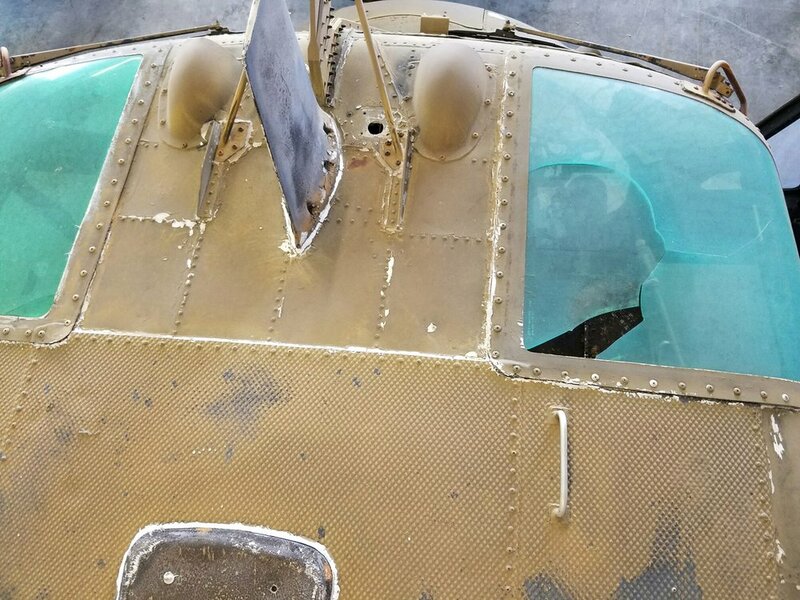 John Strauss of Indiana Public Radio stopped by the hanger recently to interview Charlie Walker, our President and chief pilot, about IASAR and the Huey. On Memorial Day we returned to a regular LZ of ours at the White River Yacht Club. Last year we got weathered out, but we were back to take care of them again. 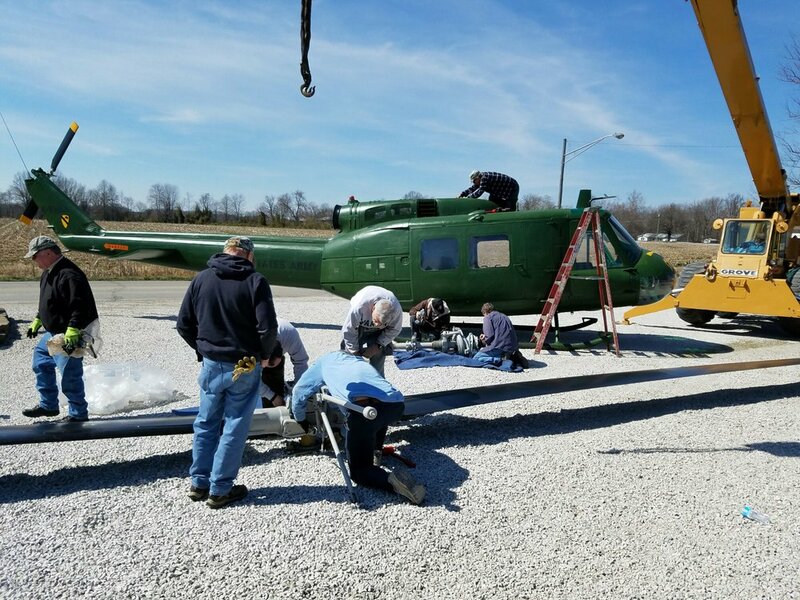 It was a windy day accompanied with Indiana's rolling pop up's, but we held out and after a little down time for rain and lunch we were able to get some of our members out to experience the Huey. After the rain it turned into a beautiful day. We'd like to thank the White River Yacht Club and all of our members for their continued support and dedication.